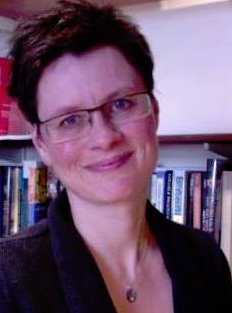 Dr. Hannah Holtschneider is a cultural historian at the University of Edinburgh, Scotland, who works mainly on the Holocaust and Jewish/non-Jewish relations in the twentieth century. Focusing on the study of memory and its relationship to history, Dr. Holtschneider has published widely on Christian theological texts and their engagement with the Holocaust and Jews, and on the representation of the Holocaust in museums. Most recently she has researched Edinburgh’s most famous rabbi, Salis Daiches, evaluating his career in relation to early twentieth century migration history and resulting changes in the religious leadership in the UK. Dr. Holtschneider next major research project returns to the focus on the aftermath of the Holocaust, engaging with the papers of a child refugee to Scotland and her family history. This research is located in the context of the history of refugees from continental Europe, discourses on identity formation, testimony and public commemoration of the Holocaust and the Kindertransport, and their relationship to local history, memory, and identity discourses. Dr. Holtschneider's accomplishments and CV may be found here.